Google featured snippets are a tremendous source of organic search traffic. In this post I show you how to rank for featured snippets and gain an advantage over your competition. It is a great way to improve your SEO results quickly. What Are Featured Snippets Exactly? They are shown above the traditional organic search listings. Some SEO experts refer to them as position zero due to their top of the page location. They are much more noticeable and take up more space. 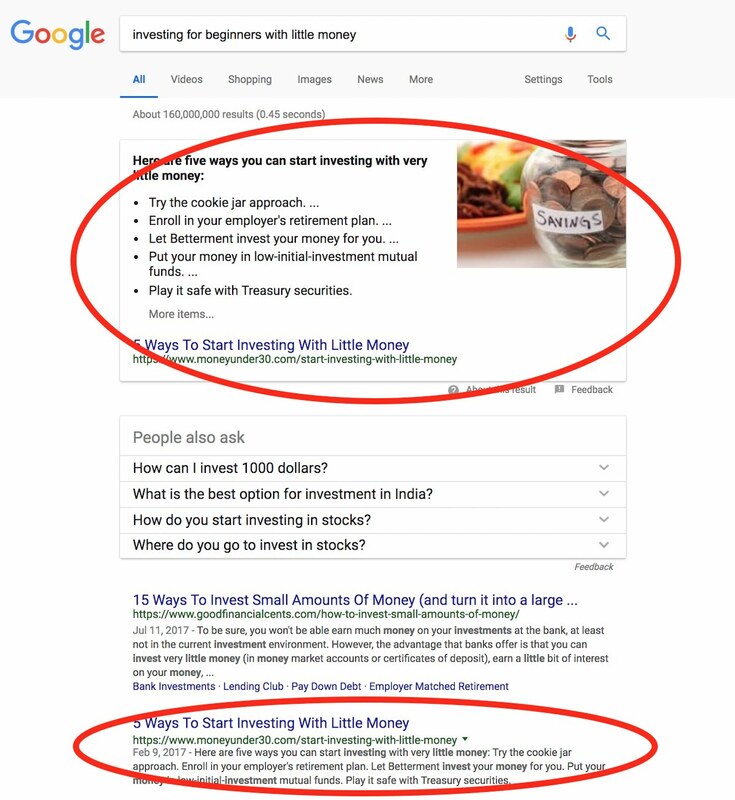 Featured snippets are big boxes that contain text, photos, lists and sometimes buttons. Because of the size of the featured snippet area they generate much higher click-through rates. So that’s your definition of the featured snippet but we’re not done thinking this through. There is another section that is often appearing with featured snippets that is worth noting. Featured snippets are often accompanied by People also ask results. This section behaves like “infinite scroll” organic search results. 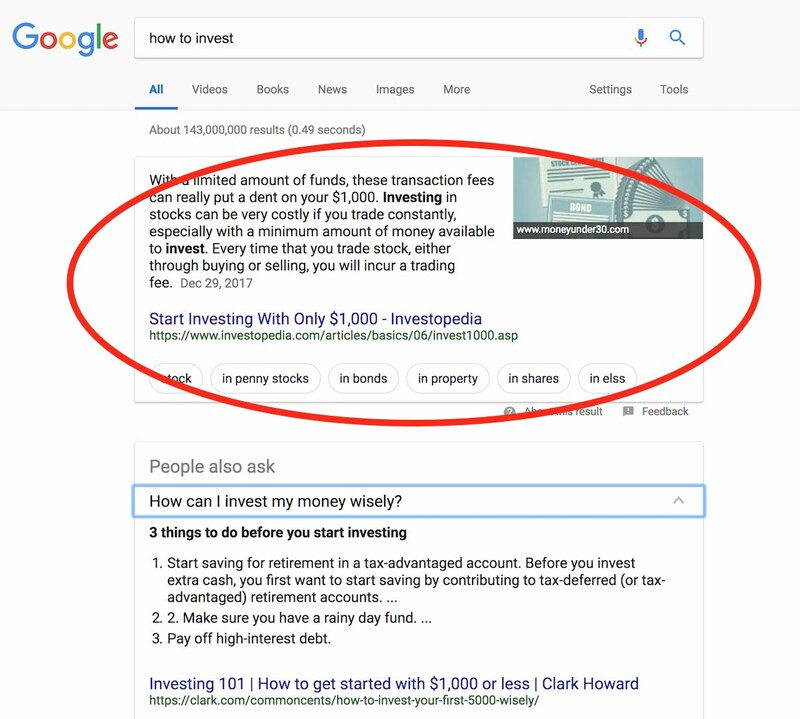 It shows up right below the featured snippet box. Understand now that Google is promoting a new pool of organic results. The old ones are further down. They are often buried by paid search listings (Google AdWords), local search, images, news and other SERP features. 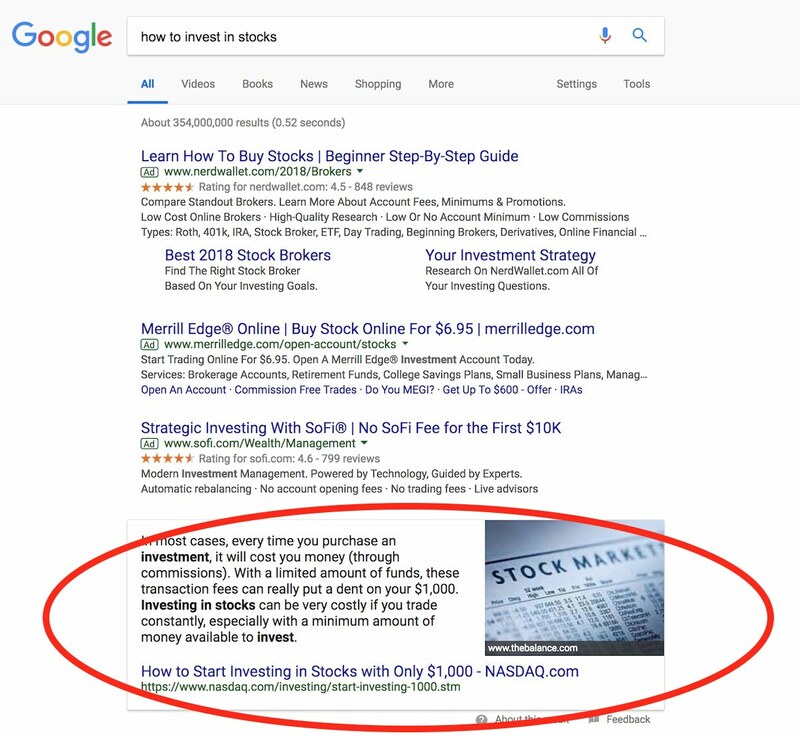 This new pool of (organic search) URLs can show up in both featured snippets and People also ask results interchangeably depending on what you search. In so many examples you can click and reveal different pages forever until you select a page that you want to visit. 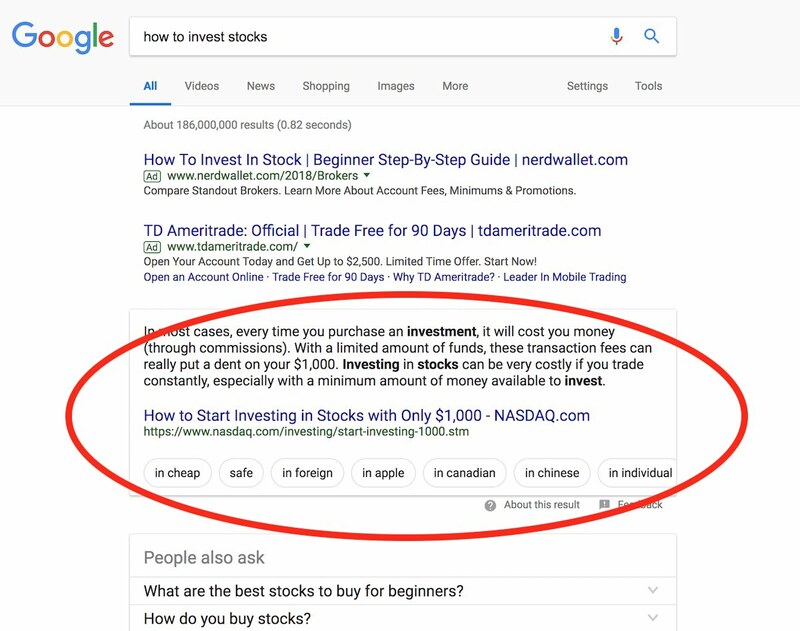 Featured snippets are a fantastic way to steal away clicks from your competitors that are ranked below in the traditional organic search results. When you do keyword research target keyword phrases that trigger featured snippets. Google featured snippets are very powerful for a number of reasons. Okay, so what do they look like? Let’s take a look! Notice that you can see another featured snippet when I click on the “people also ask” section. You will see this page URL show up again in example 5 further down. If you miss the first featured snippet opportunity you can show up in the next one within this section. As you click and reveal the “people also ask” listings more and more appear at the bottom of the list. This list will grow forever. Infinite organic search. Right at the top of the page. And we have yet to look at a regular organic search number one position. Do you see how powerful and important featured snippets are becoming for your SEO strategy? 2) Gain Visibility vs. A Paid Listing (Google AdWords). Above you can see that the regular organic search listings have been pushed down out of sight by three paid search listings. Next is a features snippet. Before featured snippets existed the page circled above would have been a number 2 regular organic search ranking. Now it is complemented by a featured snippet. Way more visibility! Notice that the featured snippet above contains a bulleted list. This featured snippet has some interesting buttons in the mix. 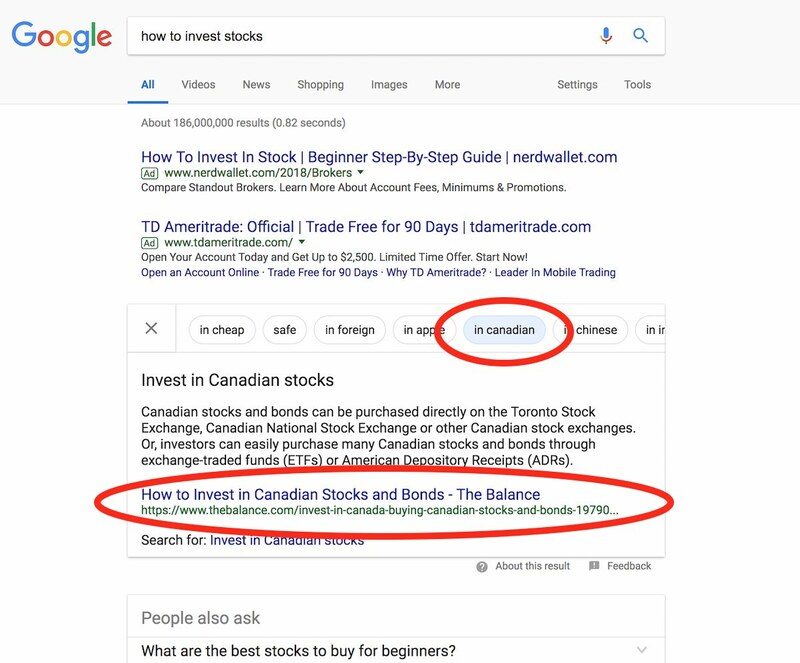 When I click on in canadian you can see in the screenshot below that the page URL in the featured snippet changed. This page URL was found in the People also ask section in example 1 that we reviewed. 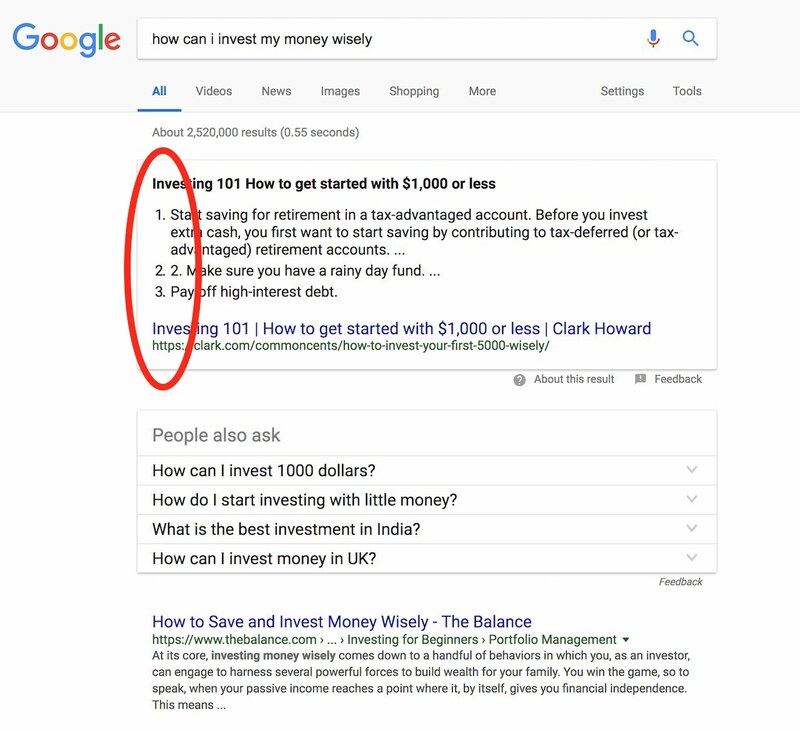 Find a way to get your content in featured snippets. Traditional organic search listings are becoming a thing of the past. Featured snippet opportunities can be discovered quickly and easily using the SEMrush keyword research tool. If your content answers questions you are more likely to show up in featured snippets. With SEMrush, you can filter for question keywords by clicking on the questions button. 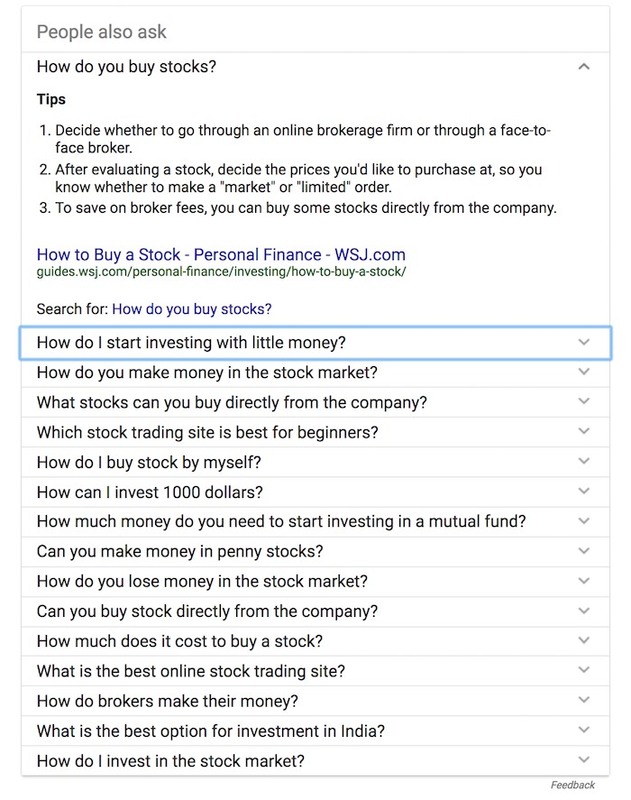 All you have to do is filter for featured snippets. As you can see almost all end up being question keywords. 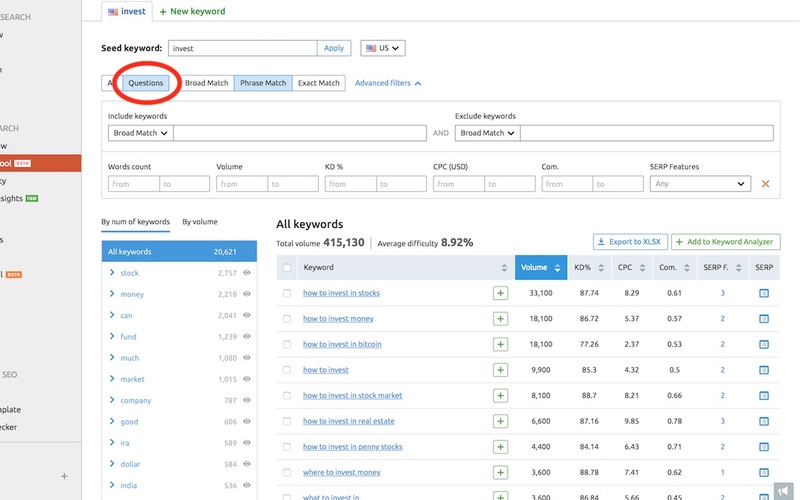 The Keyword Magic Tool by SEMrush is brilliant. You can do many keyword research tasks that used to take hours (if not days) in minutes. It is incredible. Totally worth the $99/month cost. If you want to expand your audience and increase traffic to your blog or website get this tool now. You will not regret it. 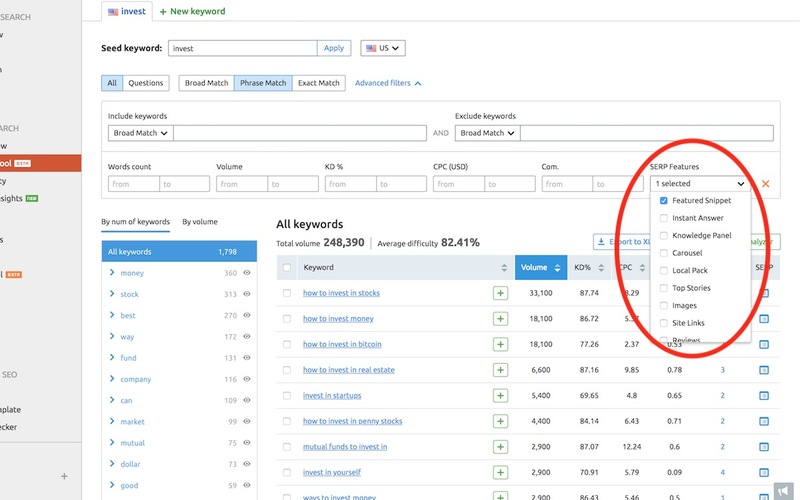 Learn how to leverage SEMrush further and understand the benefits of the tool in my blog post how to do keyword research like a pro. Those are my top featured snippets tips and how to rank for them. These and other SERP features are the future of organic search traffic. Your SEO strategy must evolve with how these organic search results are changing. Start to target these new organic search results now and rake in the traffic.